Febuary 9th 2011: Chicago Auto Show, Rhys Millen Racing and Hyundai USA unveil their latest creation. 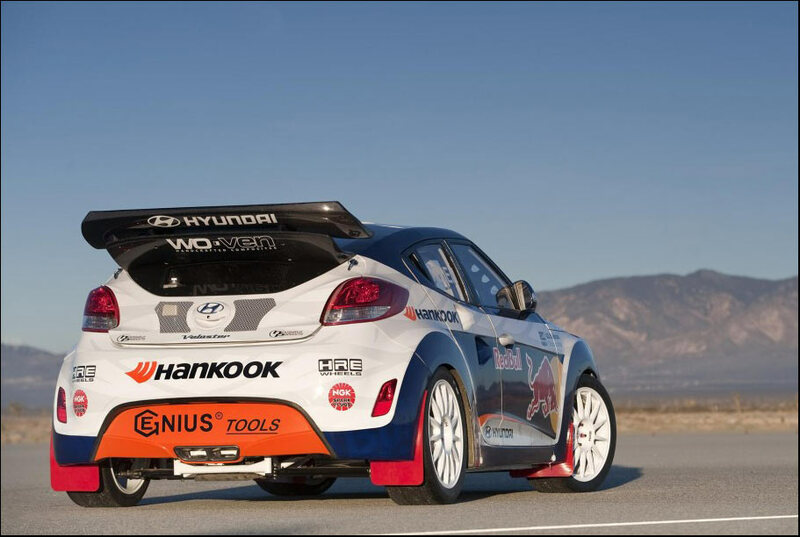 A purpose built Rally version of the Hyundai Veloster Coupe. The car has been developed to compete in the newly formed U.S. RallyCar/ RallyCross series in 2011, including an entry at 2011 Summer XGAMES. 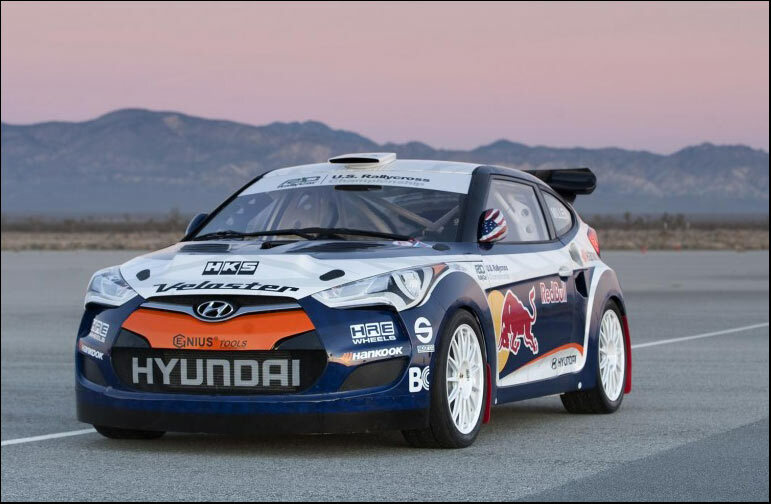 It’s no real surprise to see Hyundai and Millen moving away from the dated WRC Accent that Rhys drove in the final three rounds of the 2010 U.S. RallyCross Championship. For Hyundai and Millen to be successful they need to be racing a current product that consumers can associate with on the showroom floor. The power for the Veloster will come from a turbocharged 500-horsepower version of Hyundai’s 2-liter 4-cylinder, mated to an X-trac 6-speed sequential transmission and of course all four wheels will be grabbing the tar and gravel. What’s even more interesting is that several 2WD versions of the Veloster will be built in Rally form. It’s not out of the question that anyone of these cars could very well be a stepping off point for Hyundai to make a return to U.S.or World Rally stages.